On June 29th, the first solo album from Cepeda hitted Spanish stores (and global stores on digital platforms). The album title is a multisemantic word on Spanish, “Principios”, that would translate to English into two terms: “beginnings” and “values”. I thank the values that my parents taught me, Encarna and Luis. I thank “principicios” as the beginning of something. To Manuel Martos and all the team at Universal Music and GTS for trusting in me from the very beginning, and all Clipper’s team. To TVE, Gestmusic and to Operacción Triunfo team to push me into the water. I thank all my 15 showmates but I specially thank one in particular because she will always be, always was and would be. I thank David Santisteban for the care he has taken care of our work. And, above all, thanks to you. Later on, we found out that this text was on the “Thanks” section of the album’s booklet. Fun fact, Cepeda has the words “beginnings” and “values” tattooed, each word on his arms, just above his elbow. On November 2018, the album was also released on vinyl format, a special red vinyl edition. On November 2018, Cepeda revealed that he was working on a re-release of the album with new songs; the re-release version of the album, not yet titled, is expected to hit stores on May 2019. 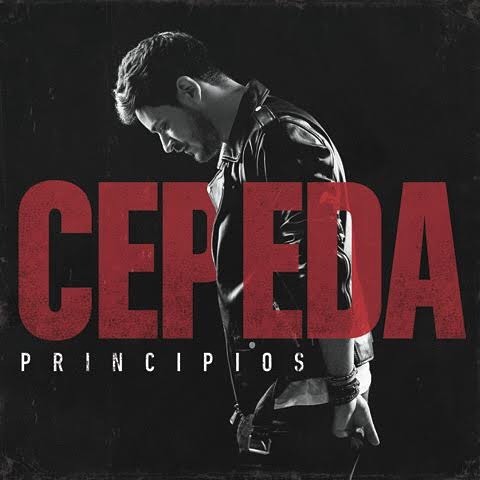 Cepeda unveiled the title and cover art of his first single on May 7th, taking by storm all the Spanish social media. It is a song produced by David Santisteban and Riki Rivera, a melodic pop song. Aside from Cepeda, the song is co-written by Santisteban and Rivera too. The song became an instant hit, reaching number one position on iTunes in 8 territories; in Spain, the song was the most selled song almost all week. In official charts, the song debuted on #1 position for its first week, between June 1st and 7th. On launch date, an official music video was also unveiled. no diría tan alto y tan claro que no quiero olvidarte. que lo llevamos escrito en la frente, que todo es distinto. Y te esperaré, tú no te alejes. La razón que hay en mis ganas. puedo pero no lo haré. que yo soy de ti. que se cierran las heridas. Y todo es por ti. el idioma que tú y yo sabemos, de tu cuento y el mío. Te esperaré, tú no te alejes. I wouldn’t say loud and clear that I don’t want to forget you. that we have it written all over our face, that everything is different. I can surrender, go back. I can, but I will jump. Cepeda announced the day before “Esta Vez” release that a surprise was awaiting all the fans before the album release and that surprise would be related to “Llegas Tú” (You show up), a song he started to write inside Operación Triunfo Academy. On June 22nd, the song “Llegas Tú” was released as a gift for all fans with the digital pre-order of the album, the same day was released an original music video. The song was written by Cepeda and produced by David Santisteban; Riki Rivera also participate on this track (arragements and second voice). On September 2018, Cepeda announced that he was working on the clip of a new single extracted from his album, but keep under wraps the details about the song. On October 2018, days before the clip release, it was announce that the next single would be the ballad “Por Ti Estaré” (I will be there for you). Universal Music Spain organized the launching of the videoclip as a movie premiere on a Spanish cinema and with Cepeda surrounded by fans. The song was written by Cepeda, Daniel Oriza Crespo and David Santisteban and produced by Santisteban too. ¿Y a mí qué mas me da si es nuestro juego? And what I even care if it is our game? Non-official fan community, created by fans and for fans. We are not linked with Universal Music España, Live Clipper’s or Luis Cepeda himself.